The American Association of Feline Practitioners recently launched its new website The Cat Community. The site’s aim is to provide the information cat caregivers need to be the best cat parent they can be. Powered by a group of passionate feline veterinarians, CatFriendly.com provides cat guardians with reliable educational information about their cat’s natural, but sometimes mysterious behaviors; the importance of routine veterinary care; feline diseases; tips on how to be a great cat friendly caregiver, and much much more. In addition to providing a wealth of information, you can also use the site to find a cat-friendly vet near you. With so much information about cats on the internet, it’s often challenging to determine what’s real and what’s fake. When it comes to your cat’s well being, it’s crucial that you are discerning as to where you get your information. Here at The Conscious Cat, we strive to be your go to resource for all things cat, and we’re delighted to share this new site with you so you can add it to your trusted resources. 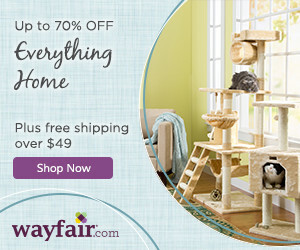 Take a look around at http://www.catfriendly.com, and while you’re there, make sure you sign up for their mailing list. Just wanted to thank you for providing this link. I’ve signed on to receive their newsletters. Thanks for everything you do and everything you write, Ingrid- the photos, product pieces, everything. I’m in love with your girls too, by the way. I miss my two little rescue torties every minute of every day. It’s just sweet to watch yours enjoying such a wonderful life with you. Just, well, thanks! Thank you for the link to the Cat Community website. Thanks for letting us know about this website. I will especially find the senior section valuable as one of my cats will be turning 15 this year. Thanks for the information. Did sign up.